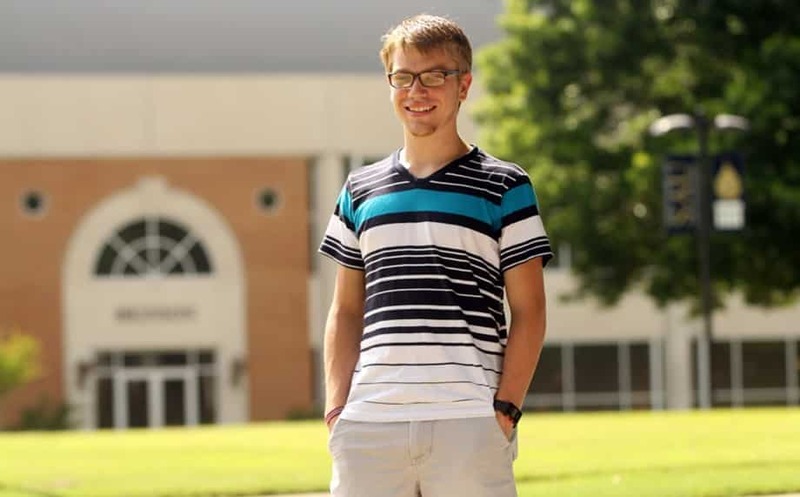 Kristopher Ray Rawlins has found a home at Southern Arkansas University and is keeping a positive attitude about medical issues keeping him on campus longer than he had planned. In the spring of 2013, Rawlins, 20, was a junior vocal education major and enjoyed his campus job and performing with the SAU Heritage and Chamber Singers. But he noticed a worsening discomfort in his throat, like a combination of strep and allergies, while he was singing in his classes and on stage. Doctors said he had to have a tonsillectomy to remove calcified tonsil stones. He ended up having two surgeries in as many days, and his voice has not been the same since. Doctors restricted him from singing until he could heal. Rawlins was set to graduate in May of 2014 and was past all his general education classes. He is now working to get his voice back into shape and is waiting back into his music class schedule rotation, but his graduation will be delayed until around December of 2015, he said. Rawlins is not going to let this extra time go to waste. He is adding another major one might not expect from a vocal education student – finance. Rawlins said his family moved a lot when he was growing up – Ohio, Indiana, Colorado, Highland, Ark., Magnolia, now Pleasant Plains, Ark. But he felt at home at SAU before he even graduated from Magnolia High School because of his job catering on campus.